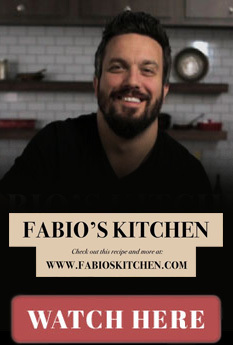 You’ve already had a cocktail, little appetizer or salad, and now are ready for the main course, #TeamFabio. The main event! If you are still deciding on what to make, you are thinking too hard. Keep it simple, guys. Go for big, bold flavors. Stick to your ribs, unforgettable, unforgiving, non-negotiable onslaught of flavor about to tear down the walls of the Roman Colosseum. That’s some powerful stuff, if you ask me! Are you pumped up now? Good. Let’s get ready to rumble and put on our Rocky faces. In Italian culture, we have antipasto, a pasta course, and then our entrée, which is usually protein and starch. No salads are allowed on the meat plate. Sorry to my vegetarians out there, but I didn’t make the rules! I usually like to break the rules when it comes to food, but not in this case. The meat has set guidelines that we must follow. An entrée is what my grandma would spend all day making – beef braciole (rolled beef), lamb shanks, or 3 whole chickens for the holidays. An entrée in my house fed everyone and their cousins. We don’t mess around with entrées and neither should you. This is where you deliver your flavor uppercut and mouthwatering roundhouse kick to the face. • Plan it out, People – The key to a killer entrée is all in the planning, like many things in the kitchen. You want to cook something that is both filling and satisfying. 1000 bites of salad are very filling, but not very satisfying, in my opinion. Things like sauces, fats and starches are about satisfying and filling. Ok, now we are on to something. 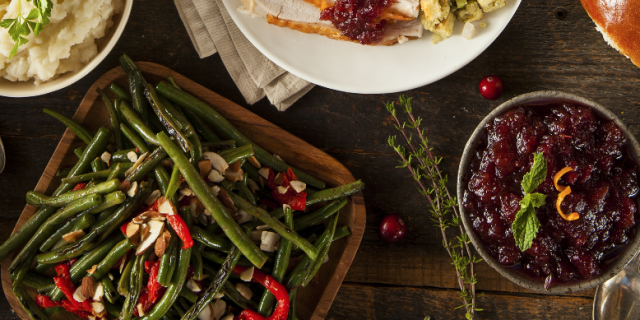 You don’t want to make someone gain 20 pounds, but it is important to use fats and starches to your advantage – adding flavor tells your brain, “this is good, but I can’t have too much of it.” Think Sunday lunch or birthday dinner with friends and family. Slow-roasted meats are great options. • Best of the Best – Cooking techniques for a great entrée can honestly be anything, but for pulling the most flavor from your food, think braising, stewing or grilling. These techniques either involve a rich stock or broth to let flavors combine, or very high heat to help sear and give unbelievable texture and char to your food. These tastes again are ones that are both filling and satisfying. The perfect combination for the perfect entrée. • From the Root – Some of the starches you will want to use include grains or root vegetables. Root vegetables are quite funny in the way they work. You can either cook them quickly and have great results, or let them cook for long periods of time and getting the same great results. While losing texture, they lend their full-flavor to enhancing the broth and slightly thickening it at the same time. Ah, the magic of a root vegetable. No wonder that’s all my grandma ever planted! • All in and Loving it – Casseroles are a popular traditional American entrée. The idea of a casserole is taking everything that would be on your plate (meat, vegetable and starch) and placing them in a large bowl mixed with some sort of binding agent (egg or condensed soup). Season to your liking, place in a pan, and cook until fully warmed. Take it out and top with some additional cheese and let it brown on top. Sounds wonderful, I know. Although casseroles aren’t as popular as they once were years ago, they still remain a staple for families of 4 or more. Chicken and broccoli casserole is one of the most searched casseroles on the Internet. It’s coming to a potluck near you!